Too often Christians think that being children of God makes them immune to the attacks of the devil or that the storms of life would just bypass them. Exactly the opposite is true. I have seen those who turn their backs on God and walk out of the church because God didn't stop the storm from coming against them. Surely the storms of life will come. hey will often come when you least expect them. That makes them a better test of your faith. We would all like it if the troubles that we will face were known before they happened so that we could plan better, but that's not faith. God wants to see how you will react in the times of trouble. Will you react in faith and trust, or doubt and fear? When the enemy comes in like a flood against you, where will you turn to? The reality of our walk with the Lord is that He never abandons us even when we feel abandoned. The God on the mountain is still God in the valley. When things go wrong, He will make them right. The God of the good times is still God in the bad times. The God of the day, is still God in the night. Thank God, He's still God — and nothing is too hard for Him! Thank God for his faithfulness! Thank God for his promise to never leave us! Thank God for his power to heal, to bless, to forgive and to wash us from all sin! Thank God for supplying our every need! Thank God for his love, His mercy and goodness. Prayer: I thank You Lord, that in all situations You remain faithful. 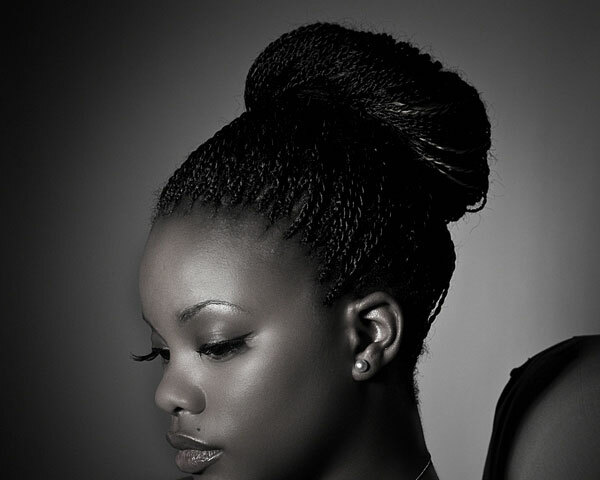 What is the difference between a truly confident woman and a totally insecure one? Everything. The way she walks, talks, thinks, feels and interacts with others are completely different. True confidence is built from within. In order to build this strength within, truly confident women have figured out which things they should put into their lives and which they should take out. Here is a list of some of those things a truly confident woman simply does not do. A truly confident woman is content with who she is. Seeing another pretty face does not make her feel ugly, because she knows that life is not a competition. She does not keep score of who is the most clever, talented or beautiful. Truly confident women do not depend on others to make themselves happy. They understand that happiness is a choice. When life isn't giving them lemons, they simply grow their own tree. A confident woman does not need to be the center of attention at all times. She is totally fine stepping aside to give someone else the spotlight. Truly confident women are not followers. They do not feel the need to "fit in." If they find something they like, they will jump on board. If not, they are perfectly fine wearing an outfit that is "so last season." Truly confident women are well aware that pointing fingers should have ended in third grade. These ladies take responsibility for their own actions. They are not afraid to admit their faults, face their own problems and apologize to those they have wronged. A truly confident woman does not look in the mirror and see only her imperfections. She knows that bothersome blemishes and bad hair days are temporary. Even her pretty face will succumb to wrinkles and age spots over time. Because of this, a confident woman will often spend more time enhancing her inner beauty than her outward appearance. A confident woman does not feel threatened by the success of others. She is genuinely happy for another's achievements and takes joy in other people's gifts and talents. Truly confident women are not easily offended. They do not analyze every careless remark made to them, automatically assuming the worst. Unkind words and insults simply do not stick to them. Confident women have better things to talk about than other people. Their topics of conversation are interesting and thought-provoking. These ladies do not need to speak poorly of others in order to feel better about themselves. A truly confident woman never lowers her standards for anyone. She does not seek approval from her peers. She seeks to do what is right. for a unique opportunity, God will single you out. You shall be singled out for promotion. You shall be singled out for uncommon favor. You shall be singled out for unprecedented breakthrough.The Almighty God will elevate you so high that no evil will be able to catch up with you. Every plan of the enemy over you and your will family will never succeed in Jesus name. In the Sermon on the Mount, Jesus had specific things to say about worry and anxiety. He said, "Therefore I say to you, do not worry about your life, what you will eat or what you will drink; nor about your body, what you will put on. Is not life more than food and the body more than clothing? Look at the birds of the air, for they neither sow nor reap nor gather into barns; yet your heavenly Father feeds them. Are you not of more value than they? Which of you by worrying can add one cubit to his stature?" (Matthew 6:25-27) Why shouldn't we worry? First of all, God, your Father loves you so much that He will not withhold anything good from you. Your Heavenly Father will take care of you. Jesus points to the birds. You've never seen a bird sweat, have you? Birds are singing, rejoicing and praising God. Certainly, they need to go out and gather their food. They do their part to get what they need. But they don't worry about it. The point Jesus is making is that if God cares for the birds, will He not take care of you? The answer obviously is yes, He will. Second, worry does not bring about anything productive in your life. It is a destructive emotion. It doesn't lengthen your life and can even potentially shorten it. The next time you are tempted to worry about something, channel all of the energy you would have put into worry and put it into prayer instead. Say, "Lord, here is my problem. I am putting it in your hands. I am going to trust you." Prayer: Lord, I cast all my burdens on you because I know you care for me. month comes to an end. The sudden upliftment that will make u the envy of nations will come your way in Jesus Name.God will relief you of every burden you have been carrying since time immemorial. The person who will help you will not give up on you in Jesus Name! Your name will no longer be on the waiting list for miracles. It is your turn to gain the attention of The Almighty God. Happy new week folks from us ASB'S World. Video of the day, this song is wow! Yet another research team has come out with a report against the use of antibacterial soaps. South Korean scientists discovered that antibacterial soaps only kill more bacteria than regular soaps do, if the antibacterial soaps are exposed to the bacteria for hours. When the antibacterial soaps and the regular soaps were both used for 30 seconds, both killed the same amount of bacteria. The active ingredient in antibacterial soaps is a product called triclosan. Current law forbids soap manufacturers from using more than 0.3 percent of it in antibacterial soaps. The South Korean researchers found that such a weak percentage of triclosan means it does not kill more bacteria than regular soap and water. They discovered the percentage of triclosan needs to be much greater than 0.3 percent to kill substantially more bacteria than regular soap. However, don't let that 0.3 percent of triclosan make you think it's safe. As it turns out, it could be harmful in a number of ways, according to years of research that has even gotten the attention of the Food and Drug Administration. In fact, the FDA is considering banning triclosan unless soap manufacturers can prove that it's safe. The FDA is concerned about reports that triclosan causes hormonal disruption. Equally concerning is the theory that triclosan contributes to the emergence of antibiotic-resistant bacteria. This is because when we use antibacterial soaps, the residue goes down the drain and ultimately into our water supply. So we end up drinking the stuff. Plus, the triclosan-tainted water is used to grow the foods we eat. Remember, we only want to kill some bacteria. Much of the bacteria in our bodies, especially in our gut, are good, and we need them to maintain a healthy immune system. If we do away with all the bacteria in our gut we can suffer all kinds of bowel trouble and more. So as cold and flu season approaches, remember the best way to prevent against getting sick is to wash your hands often. But just use regular soap and water. Ideally, use warm water and lather for at least 20 seconds, or about the time it takes to sing the "Happy Birthday" song twice. "The battle for our children's lives is waged on our knees. When we don't pray, it's like sitting on the sidelines watching our children in a war zone getting shot at from every angle. When we do pray, we're in the battle alongside them, appropriating God's power on their behalf." We have an enemy who wishes to damage our children. He wants their hearts and their minds. We are in a battle for the lives of our children, and, as previously quoted, the battle can only be waged on our knees in prayer. We can't wish the enemy wouldn't bother them or hope he will go away. We can, however, defeat him by the power of the Word of the Living God. "Finally, my brothers, be strong in the Lord and in the power of His might. Put on the whole armor of God that you may be able to stand against the schemes of the devil. For our fight is not against flesh and blood, but against principalities, against powers, against the rulers of the darkness of this world, and against spiritual forces of evil in the heavenly places. 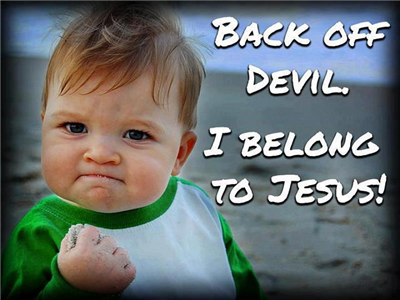 Therefore take up the whole armor of God that you may be able to resist in the evil day, and having done all, to stand." We can defeat the enemy because we are enabled to be strong in the Lord and in His mighty power. We can put on the full armor of God in order to take our stand against any scheme the devil might attempt to throw at our children. This armor will allow us to extinguish all the flaming arrows of the evil one, and it will allow us to defeat the enemy as we wield the sword of the Spirit, which is the Word of God! Jesus defeated the enemy using the Word whenever Satan began to tempt or try to do Him physical harm (Matt. 4:4-11). His example should be our own, because the enemy's tactics are still at work today. Satan wishes to cause our children to fall morally and spiritually. He desires to poison the minds of our children so that they will be unable to be of service to the Living God. As parents, grandparents, teachers, youth workers—and others with children in our spheres of influence—we must stand firm against the enemy and declare that he cannot have the minds of our children. We must fight for them in faithful prayer and teach them to fight for themselves! It is foolish and dangerous to ignore the schemes of Satan, for he is powerful and looking for every weakness. This is a lifelong battle, and we must never let down our guard. We must diligently pray and teach our children how to pray the Word of God as a sure defense against the one who continually seeks to destroy. Only through the powerful Word can victory be won over our sinful natures and the enemy. Pray that your children's minds will be controlled by the Holy Spirit so that they can be pleasing to God and filled with life and peace. "For those who live according to the flesh set their minds on the things of the flesh, but those who live according to the Spirit, the things of the Spirit. To be carnally minded is death, but to be spiritually minded is life and peace, for the carnal mind is hostile toward God, for it is not subject to the law of God, nor indeed can it be" (Rom. 8:5-7). 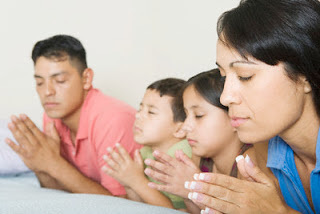 Sample Prayer: Holy God, give my children the mind of the Spirit, set upon what the Spirit desires so that their lives will be characterized by life and peace. Help them to fight against the sinful mind that the enemy would seek to place within them, so that they will live lives submitted completely to You. 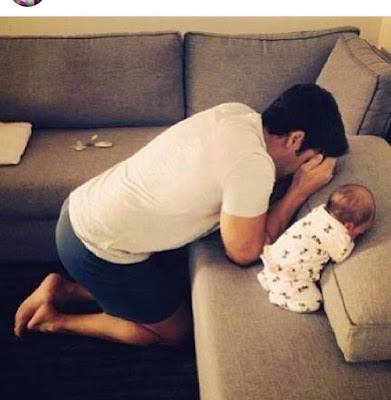 Pray that your children will continually ask the Lord to examine their hearts and minds so that they will be able to walk in truth and purity. "Examine me, O Lord, and test me; try my affections and my heart. For Your lovingkindness is before my eyes, and I have walked in Your truth" (Ps. 26:2-3). Pray that your children will use their minds to understand and search out wisdom so that they can recognize the stupidity of wickedness. "And I turned my heart to know, and seek and search out wisdom in how things are and to experience wicked folly, even foolishness and madness" (Eccl. 7:25). Pray that their minds will be steadfast as they trust in the Lord. "You will keep him in perfect peace, whose mind is stayed on You, because he trusts in You. Trust in the Lord forever, for in God the Lord we have an everlasting rock" (Is. 26:3-4). Pray that your children will keep the greatness of the Lord's faithfulness always in their minds, so that they will have hope. "But this I call to mind, and therefore I have hope: It is of the Lord's mercies that we are not consumed; His compassions do not fail. They are new every morning; great is Your faithfulness" (Lam. 3:21-23). Pray that your children will always have the mind of Christ, "casting down imaginations and every high thing that exalts itself against the knowledge of God, bringing every thought into captivity to the obedience of Christ" (2 Cor. 10:5). Pray that your children's minds will never be led astray and that they will always have sincere and pure devotion to Christ. "But I fear that somehow, as the serpent deceived Eve through his trickery, so your minds might be led astray from the simplicity that is in Christ" (2 Cor. 11:3). Pray that your children will be drawn to value spiritual truths over earthly things. "Set your affection on things above, not on things on earth" (Col. 3:2). Pray that your children's minds will always be prepared for action, so that they can live out lives of holiness. "Therefore guard your minds, be sober, and hope to the end for the grace that is to be brought to you at the revelation of Jesus Christ. As obedient children do not conduct yourselves according to the former lusts in your ignorance. But as He who has called you is holy, so be holy in all your conduct, because it is written, 'Be holy, for I am holy'" (1 Pet. 1:13-16). Stress affects metabolism. In some cases, stressed people feel the urge to pounce on the food. Unfortunately, in this situation, foods are not necessarily good for health. The power is not the solution to your problems. Turn instead to an activity that can calm you like sports or meditation. Many people think that skipping meals is a tip that will help them to lose weight. If you take only one meal in the day, your body will take the nutrients it needs from this one meal. Which can be very dangerous for health. Especially as the feeling of hunger will persist during the day. Try instead to split your meals into 5 snacks a day and stop eating after 20h. Eating quickly is very bad for health. After the meal, you will have the sensation of having a full stomach. However, this impression will disappear quickly after an hour or two and you’ll again want to eat. According to doctors, we should chew our food at least 30 or 40 times before swallowing. Staying up late disrupts the functioning of hormones in the body. Mainly leptin (satiety hormone) and ghrelin (a hormone that stimulates appetite). Leptin signals to your brain that your stomach is full, while ghrelin stimulates hunger. This may be one reason that drives you to eat late at night. To avoid this, try to sleep at least seven hours per night. Excessive consumption of caffeine stimulates the secretion of cortisol, known as the stress hormone. This hormone causes a desire to eat sweet or savory foods, according to the person. Therefore, you gain weight and put your health at risk. We must therefore consume caffeine in moderation. Processed foods are the major cause of obesity. They contain fats and sugar. Cookies, chips, cakes and pre-péparés frozen foods should be avoided. By following this advice, you will notice the difference. Some people think that their body does not need water and prefer to consume sugary drinks. Make sure to drink 2 liters of water daily. This will boost your metabolism and give you a feeling of satiety. Furthermore, several studies have shown that water reduces the risk of cardiovascular diseases, stress and eliminating toxins from the body. In supermarkets, many people overlook the fresh counter and headed for the processed food or sugary drinks. Try changing your habits, preferably by going to the fruit and vegetable shelves. You will notice the difference in a few weeks. And do not forget, of course, to support these efforts with some exercises to help you burn fat. 'There are millions of people on this planet who think that because, in their own opinion, they are basically good, they have no need for a saviour or for forgiveness of sins. Such people never reach out to receive God's offer of forgiveness because they are unable to bring themselves to acknowledge their own sinfulness. " After all," they will say, "I've never killed anybody. I do my job, pay my bills, try to help my fellow man, and I'm a productive member of society. At least I'm not a thief or prostitute." They say this, but they don't see how their lives are filled with bitterness, or envy, or gossip, or resentment, or self-righteousness, or pride, or hate, or jealousy-they don't see how sin has corrupted them and driven a wedge between themselves and a holy God. As a result they go through life thinking, 'I'm not that bad; in fact, I'm better than most'. God's forgiveness is not based on how much we deserve forgiveness. It is based on His grace and our willingness to ask for forgiveness. Do you want to be forgiven? Then go to God, in sincerity, asking to be forgiven of your sins. If you ask Him to forgive you, He will do just that for you. Receiving forgiveness is an act of faith. You don't wait for a feeling to confirm it; you ask for it and by faith you accept it. Trust God to keep His promise. He is faithful and just to forgive you and cleanse you from all unrighteousness. Prayer: Have mercy on me O Lord and cleanse away my sins. your soul in Jesus Name. God will expose all deceivers around you in Jesus Name.Very very soon you will have reasons to praise God and dance endlessly! I can see you coming to upstage of divine honour and glory. Shame is not your portion and disgrace is far from you. God will perfect everything that concerns you. God will make you to excel in the areas you have once failed at. Though you are about to give up, but God will show up for you very soon. Overnight, God turned around the life of Joseph from an abandoned and rejected immigrant to a favoured and respected leader. He had suffered from the jealousy of his brothers, the malice of his boss' wife and the abuse of prison life. Considering the apparent retrogression of his life, the obvious conclusion was that Joseph was headed for a life of frustration and bitterness. At almost every turn of his life, something had gone wrong. One day the routine and pattern of his life was interrupted. God stepped into the cycle of frustration and restarted a new pattern of blessing for him. This was not a random act of God. It was simply the appointed time for Joseph to begin reaping the rewards of all the years of faithfulness and service that had previously gone unrewarded. • Joseph's hands which a few hours ago had been in prison chains now wore the king's signet ring. • Joseph's clothes which a few hours ago were general prison issue, were now of royal designer quality. • Joseph's neck which a few hours ago bore burdens in prison was now adorned with a beautiful gold chain. In less than twenty-four hours, God took everything that was a shame and a reproach to Joseph and replaced it with honour. He is still in the transformation business and will turn your life from shame to honour. Today can be your day of breakthrough. All things are possible with God. Expect a miracle today! Prayer: Thank You Lord, for Your power to turn my shame into honour and blessing. This season, all of Gods creation will cooperate with you to have your blessings, promotion, breakthroughs and desired miracles. May God bless your home; bless you in all your works, in all that you lay your hands on. May God give you of the dew of heaven and of the fatness of the earth in Jesus mighty name. The Almighty God will bring testimonies out of whatever u are going through now.God will suddenly terminate the appointment of everyone frustrating u in your place of work. Though u have not achieved anything so far this year, but God will give u a sudden miracle that will make u to remember this year for ever in Jesus Name. Health: Small Gesture Every Morning Helps You Lose Weight! Losing weight can be a real struggle, but only if you are doing it wrong, as many people tend to do. They will go to the gym, do the hard work, and come home eat bread (with a thought to compensate the energy they have lost during the hard training, or they will try to fuel the body with high fat foods). That’s totally wrong! We offer you a proper replacement with ingredients which will follow your idea of losing fats, and actually will improve and make your idea realize faster. Boost you immune system + Reduce inflammation to much higher results! Lemon Drinking water can also help preserve your immune system. Because of its antibacterial properties, lemon water can help soothe a sore throat. This is also a great support to the lymphatic system, which works in conjunction with your immune system to trap and eliminate pathogens. Lemon water helps cleanse the lymph nodes stored by the lymphatic system. Lymph is essentially a collection of “waste” collected in the body. This mixture can help you reduce inflammation considerably, thanks to its recognized anti-inflammatory properties. It also helps to neutralize the acidity, which is the main cause of tissue inflammation. Lemon juice is acidic outside the body, but once metabolized, it becomes alkaline. The alkalinity reduces the acidity, so inflammation. Important! If you add lemon to your water, make sure to use organic lemons. Move away from the concentrated lemon juice that is sold in stores. These pre-bottled juices contain preservatives and other additives that have adverse effects on the body. Treatment during manufacture eliminates natural enzymes, vitamins and antioxidants present in the lemon juice. Start by using 1/4 of a lemon (juice) in a cup of water. After a few days, you will notice that the taste of lemon water becomes soft, like lemonade. This sensation is simply due to the pH level of your body that is balanced and becomes less acidic. There are times when it feels like a real sacrifice to offer praises to God. There are times when it feels like God has taken sides with those who are against us. When we are down, depressed, and things seem not to go the way we expected, praising and giving thanks to God is not the joyous experience it should be. These are times when you don't feel like praising God. Yet the Bible is filled with admonition after admonition to give glory, praise and thanks to God. This is because God is good all the time, no matter our circumstance. Notice that the Bible does not say, "Give thanks to the Lord when you feel good." Rather, it says, "Give thanks to the Lord, for He is good!" We don't praise God because we feel good. We praise God because He is worthy, regardless of what we may be going through. Even in our darkest moments, God still remains a good God. Most often it is in our darkest moments that we experience the awesome power of praise. In the book of Acts, we read of Paul and Silas who were arrested, beaten and thrown into a dungeon for preaching the Gospel. At midnight, Paul and Silas started praying and singing songs of praises to God. Suddenly, there was a great earthquake such that the foundation of the prison was shaken. The chains of all the prisoners were broken, and all the prison gates were thrown open. That is what the sacrifice of praise can do in your life. It can pull down any stronghold and break every yoke in your life. So, no matter what you may be going through, don't stop giving God the sacrifice of praise and thanksgiving. Prayer: Lord, give me the attitude of praise and thanksgiving. The eyes of LORD" is a theme running throughout Scripture. Take, for example, the familiar words of 2 Chronicles 16:9, "For the eyes of the LORD run to and fro throughout the whole earth, to give strong support to those whose heart is blameless toward him." Obviously, God doesn't have physical eyes; God is spirit. He doesn't need physical eyes, because He's also omniscient. Nothing escapes His notice. He's aware of all things. But though He's aware of everything, He's also searching for something in particular, something that acts like a magnet to capture His attention and invite His active involvement. God is decisively drawn to humility. The person who is humble is the one who draws God's attention, and in this sense, drawing His attention means also attracting His grace — His unmerited kindness. Think about that: There's something you can do to attract more of God's gracious, underserved, supernatural strength and assistance! What a promise! Contrary to popular and false belief, it's not "those who help themselves" whom God helps; it's those who humble themselves. This is the promise of humility. God is personally and providentially supportive of the humble. And the grace He extends to the humble is indescribably rich. As Jonathan Edwards wrote, "The pleasures of humility are really the most refined, inward, and exquisite delights in the world." We want to position ourselves to receive and experience those exquisite pleasures. Why don't you make it your goal to pursue the virtue of humility and therefore attract God's attention and favour? Prayer: Thank You, Father, for Your grace to be humble. It is better to trust in the LORD than to put confidence in princes. The electrical power of a hotel was interrupted resulting in the elevator stopping between floors with passengers aboard. One of the passengers on the elevator began to beat on the door and to shout for the people in the hallway above to do something quickly to get him out. One of the people in the hallway attempted to calm the stranded passenger with the assurance that help would soon arrive. He shouted, 'The hotel has a generator system to back up the power. The maintenance man will soon have power restored to the building and the elevator will be opened.' Then the anxious passenger shouted back, "But I am the maintenance man!" Sometimes we trust in people to solve our problems when the people themselves are trapped in their own problems. On the outward, they may appear very competent and capable but in private, they could just be people of straw who are incapable of solving their own problems. God desires that we trust Him totally in all areas of our lives. Yes, we will have to deal with people in all human activities but we must not make them the object of our trust and hope. Even though people can have the best intentions for us, we must always remember that they are just humans and limited in what they can do for us. Prayer: O Lord, in you alone I put my trust, for my help comes from you alone. Happy 55th Independence Day Nigeria! and happy new month to all you. Happy Independence Day Nigeria...and Happy new month to you all, may we experience favour and grace in this new month. To someone reading this message, God will not allow your shame and nakedness to be seen God will got you covered. You will receive a letter of overflowing joy before the end of this new month in Jesus name! Happy new month from us all ASB'S World.